Hokianga has a wealth of attractions for visitors including many unique and beautiful natural features as well as a number of historic settlements. To get a birds eye view of the area on the road towards the Waipoua Forest as you start to climb the hill keep an eye open for a turning to the lookout. Here you will find an interesting display of historical information about the Hokianga from the arrival of the Maori to the advent of the Pakeha. The views from here are truly stunning and for the more energetic a pretty trail leads down the surging waves of the Tasman sea. 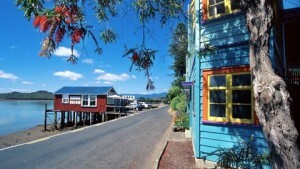 Most of the main attractions of the Hokianga Harbour can be visited all year round including those highlighted below. 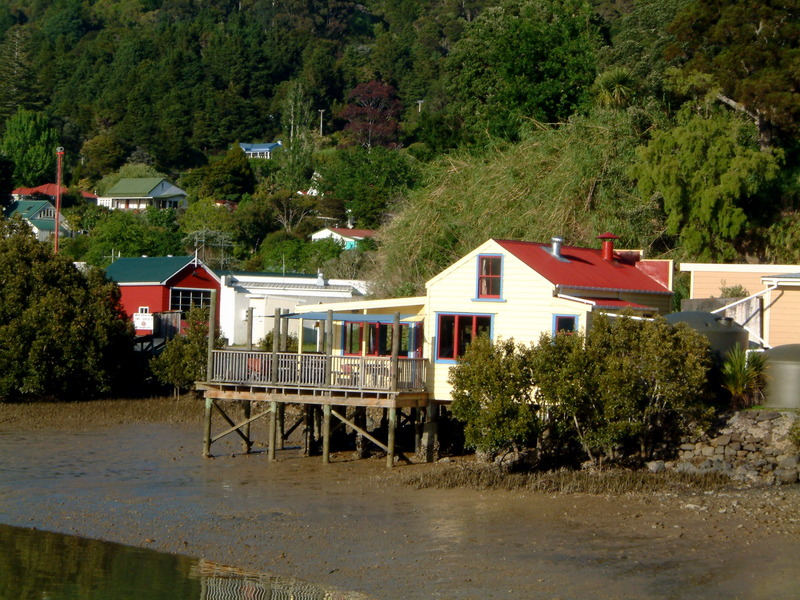 We suggest a "Hokianga Harbour Round Trip" to visit the sites and settlements of your liking. In the navigation bar above select 'Destinations' then follow the navigation in the drop down menu from South Hokianga --> Top of the Harbour to --> North Hokianga. In every location you will find interesting places to visit. The Hokianga abounds with Maori and settlement history. According to Te Tai Tokerau tradition, Kupe, the legendary Polynesian navigator and explorer, settled in Hokianga in approximately 925 AD, after his journey of discovery from Hawaiiki aboard the waka (canoe) named Matahorua. When Kupe left Hokianga he declared that this would be the place of his return and left several things behind including the bailer of his canoe. 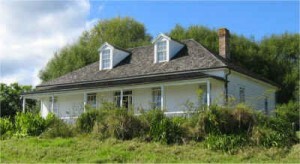 Later, Kupe's grandson Nukutawhiti returned from Hawaiiki to settle in Hokianga. Within six days of the Waitangi signing, Governor Hobson, keen to secure full Ngapuhi support, trekked across to the Mangungu Mission House near Horeke where 3000 were waiting. The second signing of the Treaty of Waitangi took place on 12 February 1840. With the appropriate signatures (and a few inappropriate entries) Hobson could immediately claim support from the biggest tribe in the country. The first recorded European to enter the Hokianga Harbour arrived in 1819 and by the 1830s, Kohukohu was the heart of New Zealand's timber industry. The country's first Catholic mass was celebrated 8 kilometres north of Kohukohu at Totara Point in 1838. For nearly one hundred years Kohukohu was an important timber milling town and the largest commercial centre on the north of the harbour. In 1900, the township had a population of almost 2,000 people. The communities of Horeke and Rawene are the second and third-oldest European settlements in New Zealand. 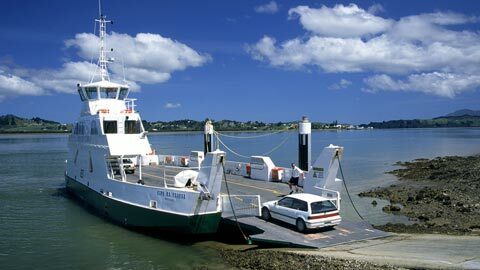 Hokianga Express leaving from the wharf in Opononi, and also on land from Mitimiti (15 km drive along beach). 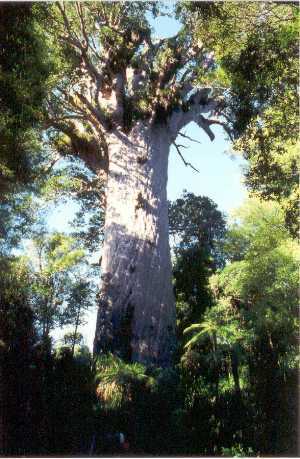 The Waipoua forest is one of the three major reserves for Kauri trees in Hokianga Harbour. One of the highlights of the Hokianga and Kauri Coast is this superb Forest Sanctuary abounding with rare New Zealand flora and fauna, mighty kauri, nocturnal kiwi, feather-like ferns, amongst a sub-tropical rainforest - this is the Department of Conservations 9105 hectare Waipoua Kauri Sanctuary. The road through the forest passes by some splendid huge kauris. Turn off to the Forest Lookout just after you enter the park - it was once a fire lookout and offers a spectacular view. A fully grown kauri can reach 60 metres and have a trunk five metres or more in diameter. They are slow growing and some kauris are 2,000 years old. Heritage and Sunset Tour - Join the guide on an easy stroll near the Waipoua River and learn about the heritage of the Waipoua Forest. Or maybe go with a local guide to relax and enjoy the stories being told whilst watching the sun setting in the background. Ever been to the Moon? Want to experience something not many people have? Well here it is! The Waipoua forest at NIGHT. In association with the Copthorne Hotel & Resort Hokianga, join Footprints – Waipoua and walk amongst these giants at a time foreign to many, including locals. The Omahuta Kauri Sanctuary was built in 1952 to enable a lot of people easy access to view giant Kauris and enjoy a true Kauri forest encounter, with many huge trees. Forest Pools is the secret place of recreation of the locals. A private nature reserve with really cool rocks! Unique geology, awesome flora and fauna, kids nature trail activities, kayak hire and more. If you feel a game of bowls with balls up to 3 metres in diameter is just what you need, take a walk on the beach between Koutu and Kauwhare points on the south shore of the Hokianga Harbour where you will find the Koutu Boulders, one of the Hokianga’s better kept secrets. With a puzzle shop that has over 500 puzzles, great family day out, picnic area and waterfall walk.